Japan is an industrialised nation in the top 1% of the world’s economies. 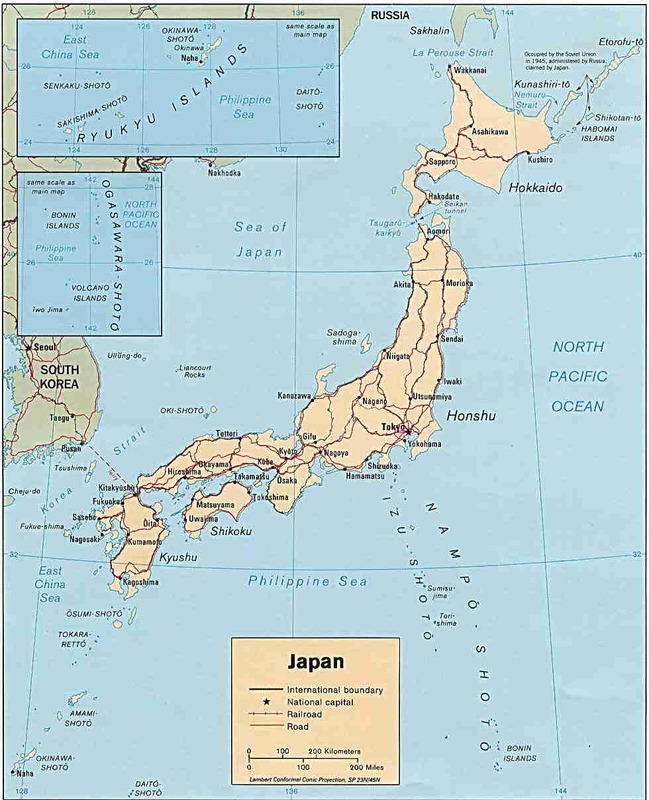 Located in the north western Pacific, Japan is a mountainous island chain with a climate varying from tropical in the south to cool temperate in the north. Customs authorities may prohibit the importation of some cough and cold medications, as well as certain inhalers and other medications. Go to: http://www.mhlw.go.jp/english/policy/health-medical/pharmaceuticals/01.html. A 20km exclusion zone exists around the Fukushima nuclear reactor. Travellers are advised to consult local authorities and to not eat food from this area, which is outside the usual market system. Fluke infections may occur from eating undercooked fish, shellfish and salads in downmarket eateries. There is no malaria in Japan. Japanese encephalitis exists in rural areas, especially in western areas – including Okinawa. Vaccination is recommended for long stay travellers and for hikers, but not for the usual tourist. Evening and nighttime insect precautions are recommended. Tick-borne encephalitis occurs in the northern island of Hokkaido and is a problem for hikers and campers between April and December. A vaccine is available only in Europe. Tick precautions are recommended. Minimal risk exists throughout the country. Routine: Travellers are advised to ensure that all routine vaccines (tetanus, diphtheria, pertussis, measles, mumps, rubella, chickenpox and hepatitis B) are up to date. Influenza exists throughout the year, but especially between November and April. Vaccination is cost-effective protection or oseltamivir may be good standby treatment. Japanese encephalitis vaccination is recommended for long stay travellers and for hikers, especially in western Japan, but not for the usual tourist. The Australian Government’s travel advisory (http://smartraveller.gov.au/zw-cgi/view/Advice/Japan) advises travellers to “Exercise normal safety precautions”. We advise you to exercise normal safety precautions in Japan. Exercise common sense and look out for suspicious behaviour, as you would in Australia. Every year a number of people are injured or killed during the winter months in snow-related accidents in Japan (see under Additional information). 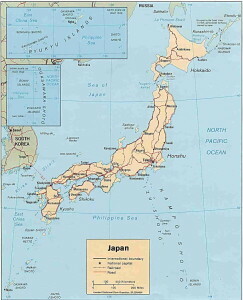 Japan is subject to earthquakes, tsunamis, typhoons and volcanic activity. The Japan Meteorological Agency provides up to date information in English on these issues. See Additional information. The islands of Japan have been inhabited for at least 15,000 years and neighbouring countries have influenced the Japanese people. From the early 17th century, the country began a long period of isolation until a visit from a fleet of US warships in 1853 pressured the ruling shoguns to open Japan to the West. Some years of internal conflict followed, before the Meiji Emperor was restored as head of state in 1868 and the Empire of Japan was proclaimed. Japan embarked on a program of military and industrial development which enabled the country to defeat China (1894-5) and Russia (1904-5) and to declare war on Germany in 1915. German territories in the Pacific were seized, the Japanese expansion into China began and Japanese warships served in many areas, including the Mediterranean. The wartime boom of the First World War helped diversify the country’s economy and although Japan had played a relatively small role, she emerged from the War as a great power in international politics. The economic success, and internal political instabilities helped contribute to the rise of Japanese militarism in the late 1920s to 1930s. The second war against China began in 1937 and expanded into part of World War II in 1941, which came to an end in 1945 following the nuclear bombing of Hiroshima and Nagasaki. Since adopting its revised constitution in 1947, Japan has maintained a constitutional monarchy with an emperor and an elected legislature called the National Diet. Japan has the third largest economy in the world and is Australia’s second most important trading partner.